The advantages of newly developed high biomass sorghum and pearl millet developed by ICRISAT and Indian Institute of Millets Research (IIMR) for use as feedstock in second generation or lignocellulosic (2G) biofuel production in India was highlighted at a recent workshop. 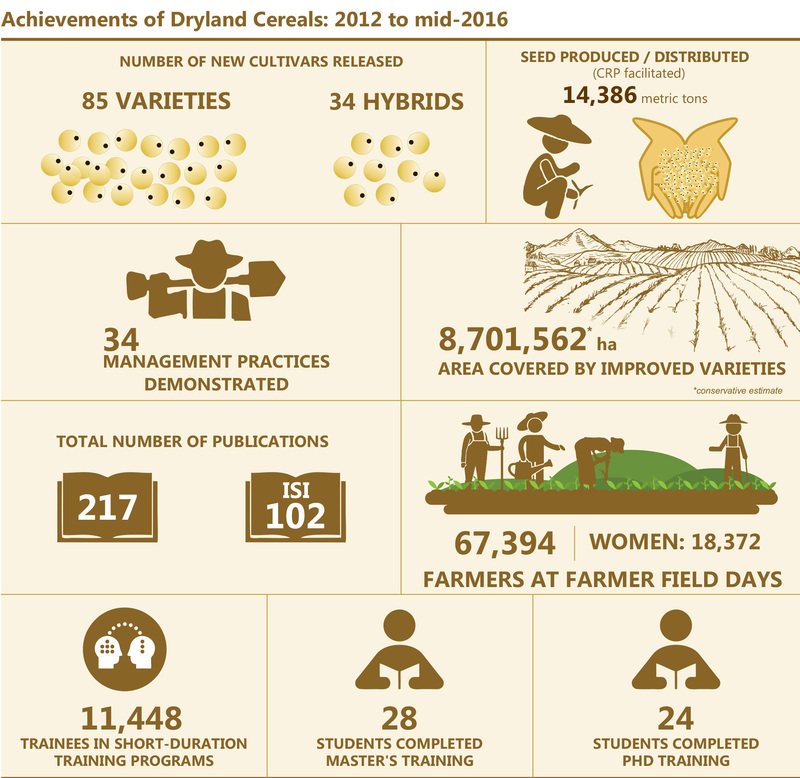 The advantageous traits of these dryland crops are wider adaptability, fast growth, high biomass production potential, resilience to drought, and non-compromise on food security as the grain is used for human consumption. The use of these crops in biofuel production has the potential of improving incomes of Indian farmers in the semi-arid regions. India is a signatory to the UN Climate Change Paris Agreement (COP21) and biofuel production is one of the thrust areas identified to reduce greenhouse gas emissions. The country’s ethanol production is mainly from sugarcane molasses. However, considering severe water shortages there is limited scope to increase the production of this water-intensive crop. Hence there is a need to develop newer feedstocks along with supply chain mechanisms and optimized biomass processing technologies for establishing commercial 2G biofuel plants. These plants need to have the capacity to produce sufficient ethanol to augment the blending demands of the country. The government’s current goal is to blend 5% of ethanol in gasoline across the country and increase the blending percentage to 10% in the short run and up to 20% in the next five years. To develop an action plan to address the above issues, 70 participants representing the Government of India, industry and academia cutting across various specializations met at ICRISAT headquarters. To develop a road map for meeting the Government of India’s blending targets (10% by 2017) using lignocellulosic ethanol production (the current status is 3.5 -5.0% blending). Creating a sustainable biomass supply chain to ensure unhindered supply of feedstock for all the proposed lignocellulosic ethanol plants to be set up by Indian public sector oil marketing companies (Hindustan Petroleum Corporation Limited, Bharat Petroleum Corporation Limited and Indian Oil Corporation Ltd). 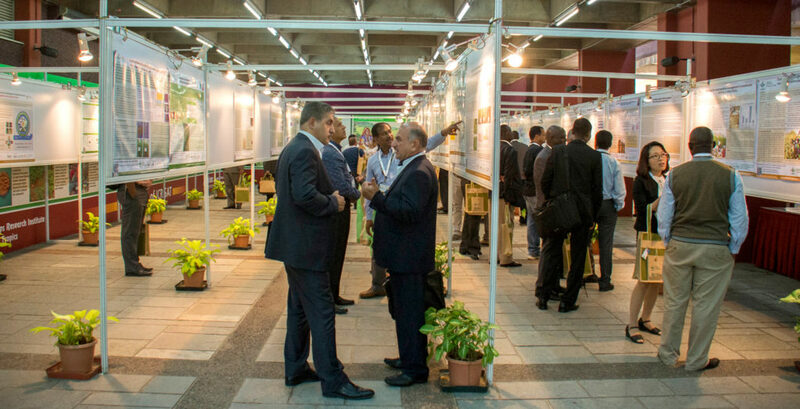 Participating organizations such as ICRISAT, IIMR, Central Salt and Marine Chemical Research Institute (CSMCRI), and Reliance Industries have carried out significant research in biofuel feedstock production and provided critical inputs to the discussion. ICRISAT’s work in partnership with IIMR and distilleries over the years on developing sweet sorghum value chain for first generation (1G) ethanol production was highly appreciated. The group suggested that the 2G commercial plants proposed to be set up can take the learnings from sweet sorghum improvement, crop production, supply chain management and commercialization in exclusive distilleries and in sugar mills for ethanol production. Currently, the estimated production of ethanol in India is in the range of 2.5-3.0 billion liters which is primarily used for potable alcohol, chemical industries and for ethanol blending. It is the first time that key stakeholders met on a single platform and chalked out an action plan on 2G biofuels. The wrap-up session held at IIMR called for unified action through this platform to make 2G biofuel a successful model in the country. The two-day workshop “Creating sustainable biomass supply chain for the proposed Lignocellulosic (2G) Ethanol projects undertaken by Oil PSUs” was held on November 15 and 16. It was organized jointly by the Working Group on Biofuels, Ministry of Petroleum and Natural Gas, Department of Biotechnology, Government of India and ICRISAT. Partners: Council of Scientific and Industrial Research – Indian Institute of Chemical Technology (CSIR-IICT), Hyderabad, India; Indian Institute of Millets Research (IIMR), Hyderabad; Jawaharlal Nehru Technological University (JNTU), Hyderabad; Tamil Nadu Agricultural University (TNAU), Coimbatore, India; Rajamata Vijayaraje Scindia Krishi Vishwa Vidyalaya (RVSKVV), Gwalior, India; Indian Institute of Technology, Delhi (IIT-D), Delhi, India; Indian Institute of Technology, Madras (IIT-M), Chennai, India; Centre for Economic and Social Studies (CESS), Hyderabad, India; Abellon Clean Energy Ltd, Ahmedabad, India; Hindustan Petroleum Corp., Ltd, Bangalore, India; and ICRISAT. Dr Prabakar, UASB; Mr. Arun, Koulagi Foods; Hon’ble Krishna Byre Gowda; Dr Vilas Tonapi, IIMR; Dr Bhaskarachary, NIN; Mr Jayaram, Green Path; Dr Oliver King, MSSRF; Mr Chandrashekar, Industry and media representative; Joanna Kane-Potaka, ICRISAT. About 50 media representatives and bloggers engaged with industry experts and state government officials concluding that while the value of millets is high, awareness is low and modern ways to use them are yet to be fully discovered. This was the first curtain raiser event to develop a campaign to popularize millets with new products ranging from millet ice cream to millet pasta and muffins on the menu and the agenda. The campaign is an initiative of the Karnataka Government of Agriculture and was the result of a roundtable discussion with food processors in August this year to identify the opportunities and hurdles to develop the millet industry. ICRISAT and the Indian Institute of Millet Research (IIMR) will coordinate the campaign. “The public have an increasing level of consciousness about the environment and the challenges that will come with climate change like higher temperatures and more droughts. What few consumers know is how environmentally friendly millets are with a low carbon footprint and a low water footprint and being so hardy they are some of the last crops standing in times of drought,” stressed Dr Vilas Tonapi, Director, IIMR. Building awareness with consumers and especially building a positive and modern image of millets was seen as critical. Urban areas were seen as key in this process as they are the aspirational markets and set the trends in the rural areas as well. The need for a credible common information source about millets, especially the nutritional benefits. National level minimum price support that covers at least the costs of production but should also cover the social benefits of millet. Product development of convenient modern products that keep the nutritional value of millets and are healthy; also of nutrient dense products and sports energy foods. Developing better equipment for mechanization; however it was also noted that the existing mechanization is not fully utilized and awareness needs to be raised. Support for rural processing facilities to be set up. 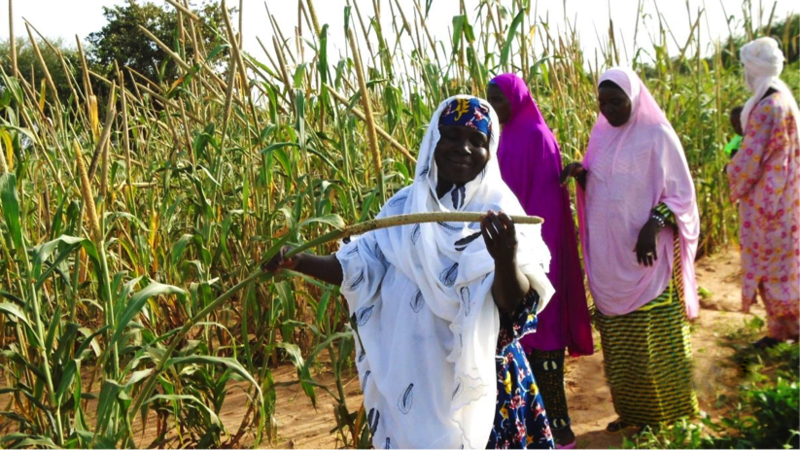 As women are often the millet farmers, mechanization and processing developments that target and are designed for women were recognized as important to include. The Minister reiterated his commitment behind this movement to popularize millets, with a collective approach needed to make a major impact. 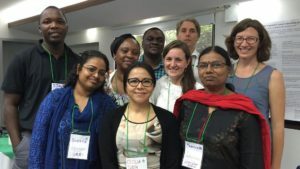 The impact of 256 new legume and 119 dryland cereal varieties developed and released in partnership with National Agricultural Research Systems under two CGIAR Research Programs – Grain Legumes, and Dryland Cereals, were reviewed at a meeting held recently. The review covered research efforts that helped improve farmers’ productivity and consumption of 12 crops in 40 countries in sub-Saharan Africa, South and South Asia, and Latin America and the Caribbean. 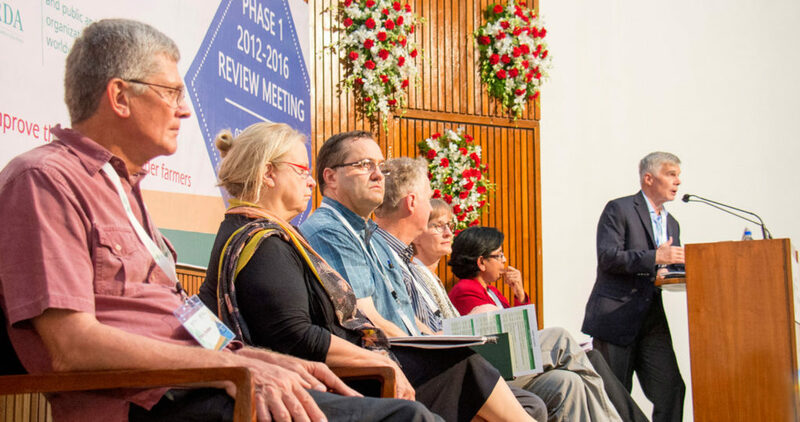 The two global CGIAR research programs led by ICRISAT were launched in mid-2012 in response to the global challenges of hunger, malnutrition, poverty and climate change. With a strong global partnership with organizations such as the International Center for Tropical Agriculture (CIAT), International Center for Agricultural Research in the Dry Area (ICARDA), International Institute of Tropical Agriculture (IITA) and National Agricultural Research System partners, the knowledge, expertise, and experience from stakeholders in the public and private sectors, governments and farmers worldwide was brought together. 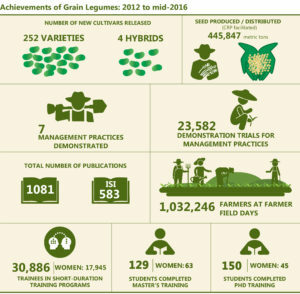 The legume crops include chickpea, common bean, cowpea, faba bean, groundnut, lentil, pigeonpea and soybean. 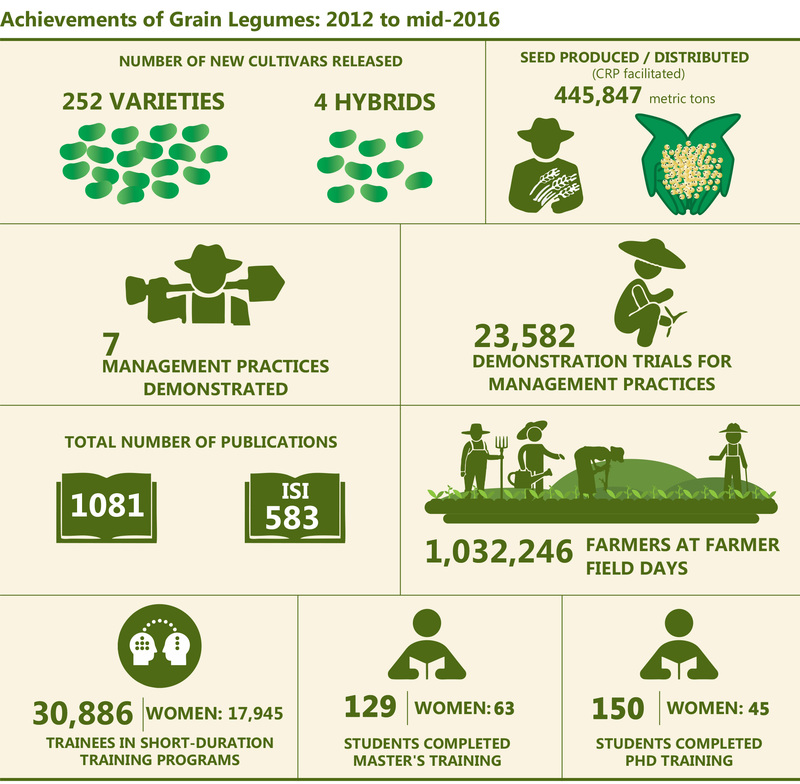 The new legume varieties and hybrids were developed for traits such as drought, heat, herbicide, low phosphorus tolerance, early maturity, insect resistance, machine harvestability and high nitrogen fixation. Other key areas of intervention included developing productive management systems, facilitating legume seed and technology delivery systems, enhancing post-harvest processing and market opportunities; gender mainstreaming, fostering innovation and managing knowledge. The dryland cereals include barley, finger millet, pearl millet and sorghum. Biofortified cultivars and those suitable for malting and use as fish feed and green gram were developed. The interventions included integrated Striga management, microdosing, motorized seeder, parasitoid wasps for tackling pearl millet head miner, double cropping, conservation agriculture, usage of sprinklers, and formation of seed consortia among others. 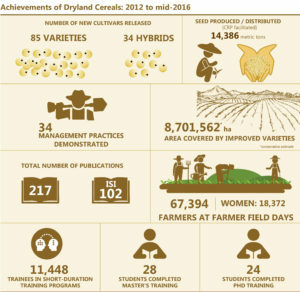 At the three-day review meeting, the coordinators of the 15 game-changing product lines of Dryland Cereals and Grain Legumes presented the progress in their areas of research (see links below). Dr Shoba Sivasankar, Director, CRPs Grain Legumes and Dryland Cereals presented the highlights of the two programs. Dr Jill Findeis, Director, Division of Applied Social Sciences at University of Missouri, USA and Chair, Steering and Advisory Committee for Grain Legumes; Prof. Peter Langridge, University of Adelaide, Australia and Chair, Steering and Advisory Committee forDryland Cereals; Dr Ylva Hillbur, Deputy Director General, International Institute of Tropical Agriculture (IITA); Dr Steve Beebe, Program Leader, Agrobiodiversity Research Area, Bean Program, International Center for Tropical Agriculture (CIAT); Dr Michael Baum, Director, Biodiversity and Integrated Gene Management Program, International Center for Agricultural Research in the Dry Areas (ICARDA); and Dr David Bergvinson, Director General, ICRISAT, participated actively in the proceedings. 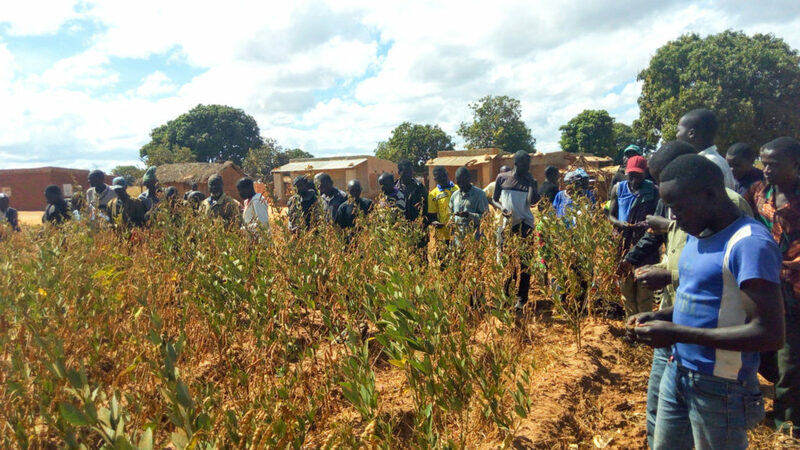 A new medium duration pigeonpea variety MPPV 2 (ICEAP 00554) was released for general cultivation in sole and intercropping systems of Zambia. The new variety has many profitable traits. It has wider climate adaptability and pest tolerance, high yield potential, attractive grains and is suitable to ratooning and can be used as green peas. Pigeonpea is gaining popularity in Zambia, due to its climate adaptability, suitability to prevailing cropping systems, farmers and consumers preference and market opportunities. MPPV 2 is a distinct, stable and uniform variety with non-determinate and semi-spreading growth habit. It flowers in about 85-90 days and matures in 150-160 days. Each pod contains 6-7 seeds. Shellability of green pods is excellent and the variety is suitable for ratooning. Seeds are large white/cream with 100-seed mass of 17-19 g. It has excellent dehulling quality of up to 85% and therefore suitable for processing. The potential yield of immature grain is 7-10 tons per hectare and dry grain is 1.8-3.4 tons per hectare. For over 15 years, Zambia had only one officially released improved pigeonpea variety which was of long duration. Over the years the yields from this variety started dwindling due to climate change characterized by shorter seasons. Therefore the new variety was released by fast tracking efforts after several on-station trials, farmer participatory varietal selection trials, large-scale demonstrations and seed bulking. ICRISAT through the I-FINITE project funded by Feed the Future (FtF) Zambia, provided two sets of medium-duration pigeonpea nurseries from where five entries including ICEAP 00554 were advanced to National Performance Trials by Zambia Agriculture Research Institute (ZARI) through APPSA project. After good performance across different agro-ecological zones of Zambia, the variety ICEAP 00554 was submitted for release and it was officially released on 14 October by the Variety Release Committee under the aegis of Seed Control and Certification Institute. The release is the result of team work by researchers at Msekera Research Station of Zambian Agricultural Research Institute, ICRISAT-Malawi and ICRISAT-Nairobi. A total of 1,500 participants (500 women and 1,000 men) attended the field visit. 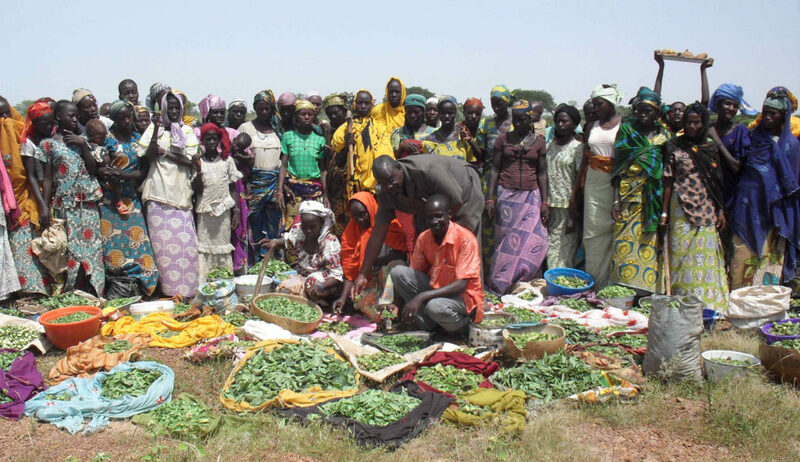 The demonstrations and farmer fairs were part of the McKnight Foundation supported ‘Niger Seed Systems Project for Pearl Milletand Legumes’. These activities were conducted in collaboration with the Deutsche Gesellschaft für Internationale Zusammenarbeit (GIZ)-Niger ASAP (Appui à la Sécurité Alimentaire des Populations) project which is an initiative of the Niger-German cooperation to provide assistance to households affected by food insecurity. 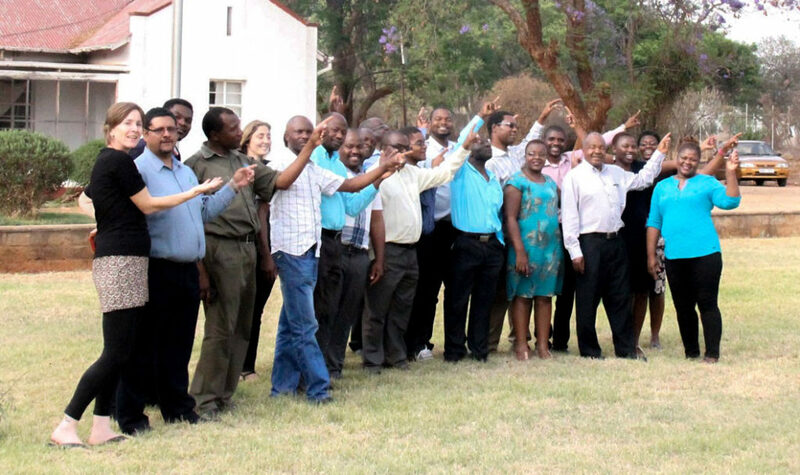 Policy makers, researchers and agricultural extension workers came together to learn how to develop future farm scenarios and co-design pathways that will lead Zimbabwe farmers out of poverty and equip them to face future climate and economic shocks. 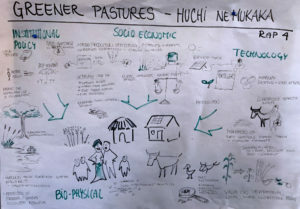 As part of the workshop activity, the group reviewed contrasting pathways that might shape the future of farming in Zimbabwe and came up with Representative Agricultural Pathways and Scenarios (RAPS) (see box). The workshop specially focused on gender and nutrition. The impact of national level policies to shape the future of women in farming was among the issues discussed. “Women carry the major burden of farming in Zimbabwe, and there is no sign that this is going to change in the future; it might rather increase as male labor leaves rural areas for wage labor opportunities. Hence, what would it mean if policy evolved to ensure women equal control over resources, production factors and information? What would be the implications for food security and nutrition?” These questions were raised by Dr Amy Sullivan, Bridgewater Consulting, AgMIP stakeholder liaison. Dr Dumisani Kutywayo, Director Crops Research Division, Department of Research and Specialists Services. Mr Ben Mache, Head of Crops Agricultural Technical and Extension Services said that such dialogues help to create conditions and mechanisms that can leverage uptake of technologies and cater to shock situations, in preparation for agriculture under future climate scenarios. In this context, the importance of web-based tools was stressed. Special mention was made of the Agricultural Model Intercomparison and Improvement Project (AgMIP) tool ‘Impacts Explorer’ to make information available to a broad range of users, and for revision and adjustment processes (www.agmip.org). Presenting the science behind RAPs, Dr Roberto Valdivia, Economist, Co-leader of the AgMIP regional economics team, Oregon State University, said it is a structured research-led approach to inform solutions across national and local scales. “It is an important source of information that can guide future decisions about crop and livestock production, illustrating supply and demand at national and international markets in order to meet future requirements. It can guide policy processes and facilitate dialogue with research towards integrated farming systems,” said Dr Reneth Mano, Agricultural Economist, Livestock and Meat Advisory Council, Zimbabwe. Sharing the scope of the AgMIP project Dr Sabine Homann-Kee Tui, Scientist, Markets, Institutions, Nutrition & Diversity, ICRISAT, and Principal Investigator, Crop Livestock Intensification Project (CLIP), highlighted the CLIP project in Nkayi district as a regional case study that looks at options for redesigning mixed crop-livestock farming systems facing climate change. The workshop titled “Future scenarios to inform decision making processes: National RAPs for Zimbabwe” was held as part of the AgMIP project, which aims at understanding climate change impacts and prioritizing effective adaptation strategies. The sessions covered relevance for future farming beyond the AgMIP focus on climate change which included the future state of the environment, distribution of wealth and gender inclusiveness. of Research and Specialist Services, Department of Climate Change, Meteorological Service Department, Agricultural Technical and Extension Services, Department of Livestock Production and Development, Ministry of Women Affairs, Department of Economics and Markets, Livestock and Meat Advisory Council, UNDP and Nkayi Rural District Council. The AgMIP Crop Livestock Intensification Project (CLIP) team facilitating this workshop included researchers from ICRISAT, Matopos Research Institute, ICRAF, National University of Science and Technology, Institute for Development Research and Lilongwe University of Agriculture and Natural Resources. The workshop was supported by DFID, CLIP research team, AgMIP, Columbia University, Oregon State University and ICRISAT. Two contrasting pathways “Greener Pastures” and “Thistles and Thorns” were defined by the participants. “Greener pastures” was defined as a future towards sustainable development, slow and inclusive agricultural growth, strong engagement of farmers’ unions and the private sector. Women would play a strong role in agriculture, which would directly translate into greater diversity in production, food and nutrition security, supported by policy directives that promote inclusive agricultural development. Given assumptions of rapid economic growth dominating social and environmental considerations the future in Zimbabwe would look very different. The scenario “Greener Pastures”, illustrated by Sidsel Vognsen, UNDP. “Thistles and Thorns” was illustrated as a future with islands of highly productive areas, while most people would be driven into marginal lands, impoverishment of the bottom poor. Under this more aggressive approach to development, women would be largely excluded from decisions, vulnerable groups securing their livelihoods off-farm, stronger rural urban migration. There would be trade-offs between export oriented cash crops and nutrition. Both, the “Greener Pastures” and “Thistles and Thorns” worlds were assumed to have a queen in one case and a king in the other. Participants were divided to be part of those kingdoms, adopting the role of advisors, to make sure that policies, institutions and technologies would follow the socio-economic and biophysical trends to arrive at these future worlds. The participatory and interdisciplinary approach enlightened the scenario development process across national and district scales. Participants experienced how scenarios can provide useful information for future oriented priority setting for both research and policy making. “Generating RAPS illustrated the need for better streamlined two-way dialogue among researchers and policy makers. Co-designing RAPS is necessarily iterative, and requires feedback from stakeholders. It is important that RAPS represent trade-offs between economic growth, social and environmental consequences,” said Dr Valdivia. They must be explicit on drivers that define the levels of wealth distribution, equity vs manifestation of ‘haves’ and ‘have nots’. Specific organizations can then use the RAPs for shaping their own investments and strategic plans. Investor: DFID, in partnership with the US Department of Agriculture, Agricultural Research Service. Partners: ICRAF Lusaka, Plant Production Systems group- Wageningen University, University of Cape Town, Matopos Research Institute, National University of Science and Technology, Institute for Development Studies, Lilongwe University of Agriculture and Natural Resources, Instituto de Investigação Agrária de Moçambique. Lending support for the Ondoa Njaa Kongwa (End hunger Kongwa) campaign regional and international agricultural research institutes shared research results from key initiatives in the region at a meeting held recently. The research results presented were on: aflatoxin mitigation, food safety and market competitiveness, gliricidia-pigeonpea legume technologies, maize-pigeonpea intercropping using phosporus fertilizer microdosing, improving poultry genetics and feeding for enhanced productivity, integrated crop and livestock management technologies, and improved seeds for quality protein maize among others. The results were presented by representatives from Hombolo Agricultural Research Institute, Selian Agricultural Research Institute and ICRISAT. 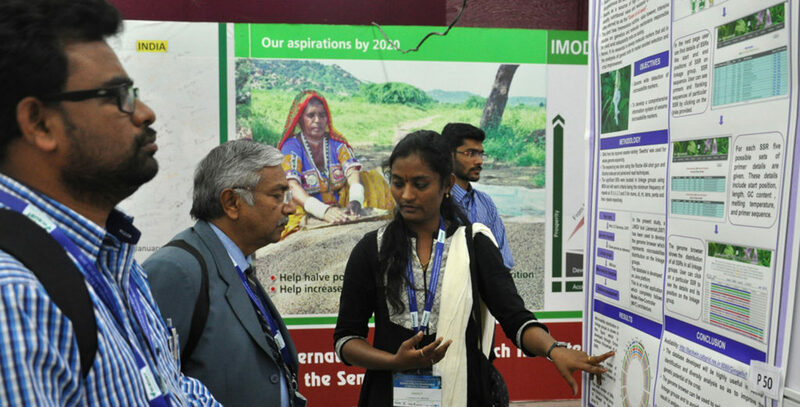 The researchers also emphasized on the importance of scaling up techniques such as mother-baby techniques, farmer field schools, demos, field days and Going Beyond Demos (GBDs). 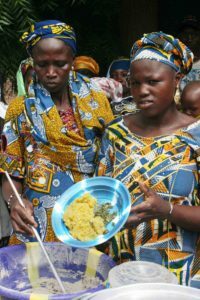 The Kongwa District Council initiated the movement and named the ICRISAT-led Africa RISING project as the backbone of the campaign to end hunger in the central Tanzanian district of Kongwa. The participatory research approach adopted for solving crop and livestock production challenges in the region were appreciated by Mr Deogratias Ndejembi, District Commissioner, Kongwa. He said the project came at the right time to catalyze the campaign by leading a collaborative scaling up of proven crops and livestock technologies. The Africa RISING program is being implemented in the semi-arid areas of Kongwa and Kiteto districts in Tanzania by ICRISAT in partnership with ARI-Hombolo, Sokoine University of Agriculture (SUA), and University of Dodoma (UDOM), the International Centre for Maize and Wheat Improvement (CIMMYT) and the World Agroforestry Centre (ICRAF). The campaign meeting was held on 20-21 October. 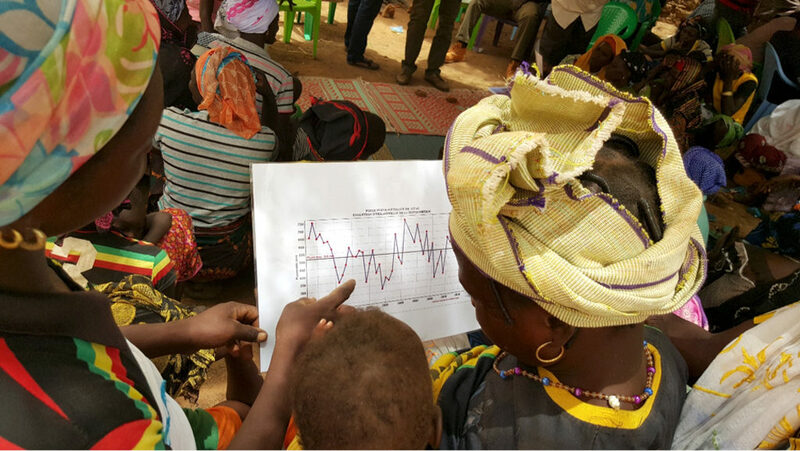 Agroforestry systems for growing nutritious local trees and crops for feed and fodder, and contour bunding technologies for preventing soil erosion caught the attention of farmers attending field days in two districts in Mali. The events were organized by two technology parks to showcase and review innovations and technologies developed and tried over a period of two years. Women farmers like Ms Mariam Sarah from Sirakele village were interested in technologies related to nutrition. Mr Kalifa Coulibaly, the Mayor of M’Pessoba, stressed on encouraging women to be more involved in the nutrition program. “The nutrition research of the Africa RISING project is very important to help our district address the problem of malnutrition. The technology park is a learning school that will help promote local crops and the nutrition field schools offer an opportunity to enrich and diversify the household diet,” he said. Two farmers from M’Pessoba village in Koutiala district, Mr Daouda Diallo and Mr Dramane Dembélé, were impressed by the contour bunding technology and said they were ready to adopt it on their fields. Mr Diallo wanted to use the technology on his one-hectare barren plot and transform it into a silvipasture (combining forestry and grazing pastures). Mr Dembélé wanted to try contour bunding to control soil erosion in his field as heavy rains often wash away the top soil taking away with it nutrients and the seeds that are sown. He also plans to implement crop-livestock integration on his farm. Apart from featuring the above technologies, presentations on trials of sorghum, groundnut, cowpea, maize and vegetables; land and water management technologies; food banks and adapted trees species were made. 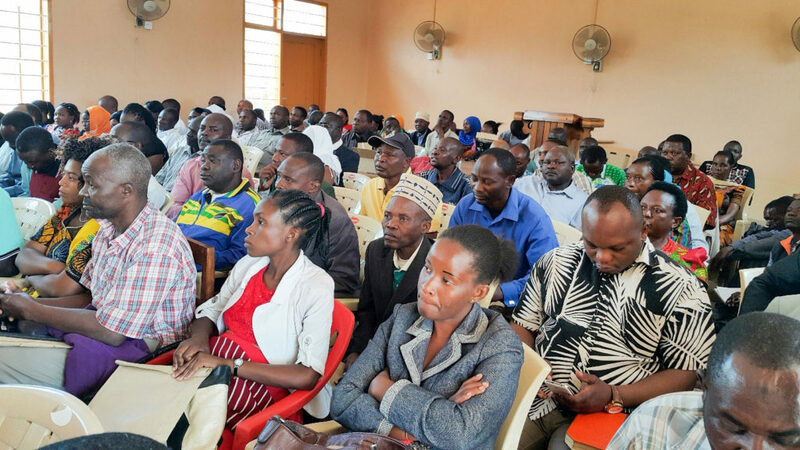 Over 300 participants, mainly farmers, development and extension agents, students and local authorities, actively took part in the discussion sessions on the technologies, the challenges and opportunities for their implementation and possibilities of scaling out. “We have gained knowledge that will help us in our studies. Visiting this park is a great learning opportunity on various technologies that we have learnt in the classroom,” said Mr Abdoulaye Keita, a student of the Centre d’Apprentissage Agricole (CAA) that specializes in training extension agents. Dr Ramadjita Tabo, Research Program Director, West and Central Africa and Country Representative, ICRISAT-Mali, emphasized on the role of youth in agricultural development. Mr Oumar Samake, interim director, AMEDD (Association Malienne d’Eveil au Développement Durable) reiterated the need for encouraging youth. “I am glad to see the involvement of participants in the park’s work and the interest it creates among visitors. This demonstrates that we are prepared for tomorrow’s agriculture. The future belongs to the youth and this park is an opportunity they can take to prepare themselves better. In this park which proved to be a platform for mutual sharing, we are currently laying the groundwork for tomorrow’s agriculture,” he said. Other important participants at the event included Mr Elisé Goita, representative of Bougouni agriculture office and Mr Siriki Sidibé, Vice-president, District Council, Bougouni. The field days were organized on 28 September in Flola, Bougouni district and on 12 October in M’Pessoba, Koutiala District. Dr Irmgard Hoeschle-Zeledon, Manager, Africa RISING West Africa and East/Southern Africa Projects and many members of the project-managing group attended the visits. Partners: International Institute of Tropical Agriculture (IITA), World Agroforestry Centre (ICRAF), World Vegetable Center, International Livestock Research Institute (ILRI), Center, Institut d’Economie Rurale (IER) NGOs – Association Malienne D’Éveil au Développement Durable (AMEDD), Améliorer la sécurité alimentaire et la souveraineté alimentaire au Mali (AMASSA Afrique Verte), Groupe de Recherches d’Actions et d’Assistance pour le Développement Communautaire (GRADECOM), Centre d’Appui d’Autopromotion et de Développement (CAAD), FENABI farmers’ organization and ICRISAT. With the groundnut lines improved for rust resistance developed by ICRISAT and partners (see box) performing very well in the state of Karnataka, Mr Krishna Byre Gowda, the agricultural minister, suggested that the next step was large-scale testing in the farmers’ fields. 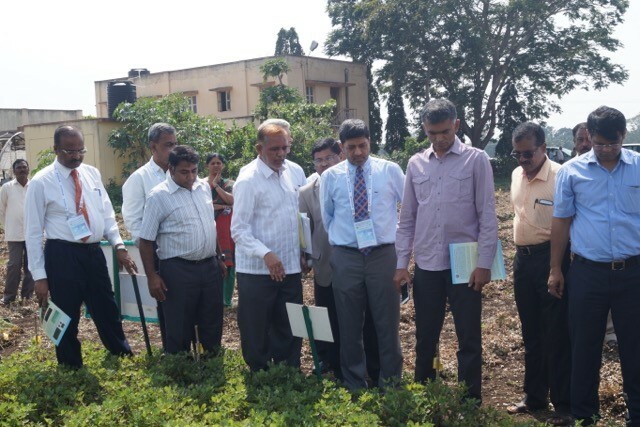 Mr Byre Gowda visited the trial plots of molecular breeding lines in groundnut at the University of Agricultural Sciences (UAS)-Dharwad. The three popular groundnut varieties namely ICGV 91114, TAG 24 and JL 24 were successfully improved for rust resistance by using molecular breeding approach. Promising lines were nominated for the first time in the All India Coordinated Research Project on Groundnut (AICRP-G) of Indian Council of Agricultural Research (ICAR) and these lines are under evaluation at different locations of India, including UAS-Dharwad. The selected groundnut introgression lines recorded higher pod yield over the state check varieties, GPBD 4 and G 2-52, under both irrigated and rainfed conditions. The introgression lines recorded pod yield of 6.8 tons per ha which is 26% higher than GPBD 4 (5.4 tons per ha) and 46% over G 2-52 (4.8 tons per ha) under irrigated conditions. Under rainfed conditions, introgression lines recorded a pod yield of 5.8 tons per ha, which is 29% higher than GPBD 4 (4.1 tons per ha) and 40% over G 2-52 (3.6 tons per ha) under rainfed conditions. The delegation that accompanied the minister on 24 October included Dr DP Biradar, Vice Chancellor, UAS-Dharwad; Dr PM Salimath, Vice Chancellor, UAS- Raichur; Mr Ashok Dalwai, Additional Secretary, Ministry of Agriculture and Farmers Welfare, Government of India and many other senior officials from UAS-Dharwad. The ICRISAT delegation included Dr David Bergvinson, Director General; Dr Rajeev K Varshney, Research Program Director-Genetic Gains; Dr SP Wani, Research Program Director, Asia Program and Theme Leader, IDC; Dr K Krishnappa, Resident Scientist and Dr Manish Pandey, Scientist-Groundnut Genomics. The team from UAS-Dharwad included Dr HL Nadaf, Dr Ramesh Bhat and other senior scientists. Project partners: Directorate of Groundnut Research, Junagadh; Agricultural Research Station (ARS), Kadiri of Acharya N G Ranga Agricultural University; Tamil Nadu Agricultural University; ARS, K Digraj, Sangli and Oilseeds Research Station, Jalgoan of Mahatma Phule Krishi Vidyapeeth; University of Agricultural Sciences, Dharwad and ICRISAT (Project Coordination). The work is being carried out under CGIAR Research Program Competitive Grants Scheme. T-Hub in partnership with ICRISAT and RViP (Riverbridge Ventures Innovations Platform) launched the ‘AgriTech Accelerator Program’. Applications accepted from 2 Nov 2015. The Regional Universities Forum for Capacity Building in Agriculture (RUFORUM) and ICRISAT agreed to explore collaborations in the following focus areas – mapping out the agricultural human capacity needs in their respective member countries; deployment of ICT in agricultural training, research and extension; intensifying research on climate change especially climate smart agriculture, “orphaned” crops and nutritional security; establishing business incubation and entrepreneurship mentorship programs and attachment of graduate students to ICRISAT research programs. The operationalization of the above will be guided by the existing Memorandum of Understanding signed by ICRISAT and RUFORUM in September 2014. This event took place on 17 November at the RUFORUM Secretariat. Program begins on 15 Feb 2017. Some of the participants at the network’s annual meeting. Abstract: Vascular wilt caused by Fusarium oxysporum f. sp. ciceris (Foc) is a serious disease of chickpea (Cicerarietinum L.) accounting for approximately 10–15% annual crop loss. The fungus invades the plant via roots, colonizes the xylem vessels and prevents the upward translocation of water and nutrients. Infection is initiated by conidia that invade the host tissue often by penetration of intact epidermal cells. Here, we report the characterization of the transcriptome of Foc sequenced using Illumina Hiseq technology during its conidial germination at different time points. Genome-wide expression profiling revealed that genes linked to fungal development are transcribed in successive ways. Analysis showed that Foc have large sets of germination-related genes and families of genes encoding secreted effectors, cell wall/pectin-degrading enzymes, metabolism related enzymes, transporters and peptidases. We found that metabolism related enzymes are up-regulated at early time point whereas most transporters and secondary metabolites important for tissue colonization and pathogenicity are up-regulated later as evident from the qRT-PCR. The study demonstrated that early conidial germination in Foc is accompanied by rapid shifts in gene expression that prepare the fungus for germ tube outgrowth, host cell invasion and pathogenesis. This work lays the foundation for facilitating further research towards understanding this host-pathogen interaction. Synopsis: The objective of this project is to study the impact of cropping system and soil fertility management practices on selected ecosystem services in the context of semi-arid areas in Maharashtra state of India. It is a direct contribution to the GIZ facilitated project on Soil protection and rehabilitation for food security in India (SPRFS). Using the well tested 6+1 approach of the Economics of Land Degradation Initiative (ELD 2015), this effort will add to a growing data set providing globally relevant data on the economic benefits of land and land based ecosystems. Synopsis: At present, there is not much information available on molecular markers and genes associated with aflatoxin contamination that can be used in molecular breeding. Therefore, identification of markers and genes conferring resistance to aflatoxin resistance is a must for deploying molecular breeding approaches to develop superior lines with enhanced resistance to aflatoxin. Synopsis: The aim is to contribute to the development of improved finger millet varieties in the state of Karnataka by developing and deploying genomics tools in finger millet breeding. The project envisages that the genomics information for developing superior cultivars with enhanced crop productivity in the target regions is developed. This project will also help in enhancing livelihoods of farming women since majority of the field operations involved in the crop production are traditionally carried by them. 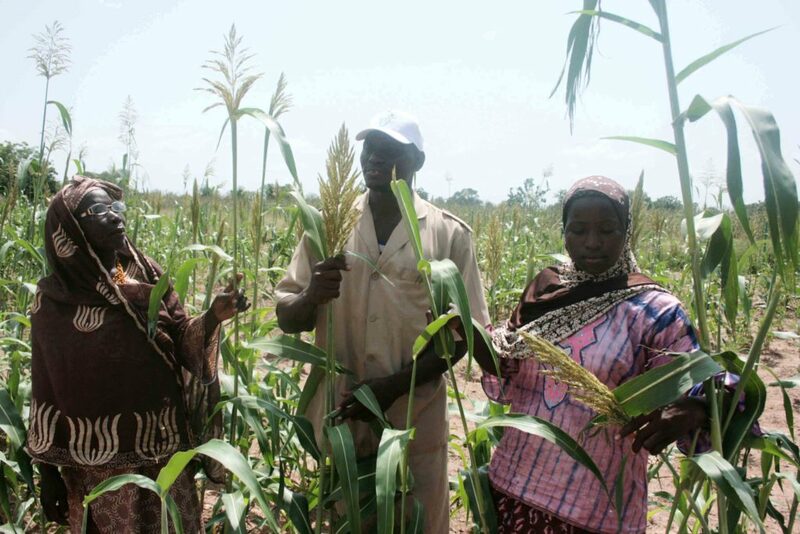 Stabilized grain and fodder yields provide opportunities of improved livelihoods and nutrition to finger millet farmers. Synopsis: The goal of the project is “improved food, nutritional and income security for enhanced livelihoods and gender equity among smallholder farming households in semi-arid lands of Kenya and Tanzania”. The objective is to identify, develop and test improved cultivars of sorghum and millets to increase dryland cereal production and drylands productivity for improved food and nutrition security, increase household incomes while protecting the local environments. Synopsis: The purpose of this study is to ascertain national availability of seed and other agricultural inputs and also the capacity of drought affected vulnerable communities and households to timely access appropriate seeds and other agricultural inputs. To enhance the awareness and knowledge of national approaches to coordinate and implement inter-sectoral programs needed for the required climate smart transformation of the agricultural agenda. To enhance the evidence base of appropriate CSA technologies and practices and decision-makers to ensure adequate policies and strategies towards scaling up of these CSA practices. To establish a multi-stakeholder platform to promote the CSA approach both at national and local level. Synopsis: The project directly addresses the climate change and climate variability and resources utilization and pathways for sustainable development research agendas. This includes filling a key data gap in global inventories by providing emission and emission factor baseline data of key crop rotations in India and Sri Lanka, and identifying the potential of matching OA derived N with synthetic nitrogen inputs. This also allows farmers to better make utilization of their existing nitrogen resources, both organic and synthetic, to improve nitrogen use efficiency and sustainability of Indian and Sri Lankan farmers. A key focus is to enhance the capacity for environmental and agricultural research in India and Sri Lanka by the transfer of the knowledge and skillsets required to conduct global change research to local researchers and enhance NUE and sustainability of tropical farming systems. This will be achieved by extending the existing research network between Australia, Sri Lanka and India, enabling the transfer of the scientific expertise required for successful operation of the latest GHG monitoring technology and production of high quality research outputs. Local extension specialists, farmers, scientists and decision makers will be directly exposed to research outcomes via local and CGIAR communications departments and extension networks across the Asian Pacific region and through research networks such as the Australian Nitrous Oxide Program database (www.n2o.net.au) and peer reviewed publications. Synopsis: The project aims at tapping genetic variability present in the wild species for improvement of chickpea and broadening its genetic base. A large number of progenies generated from interspecific crosses would be evaluated to identify lines with early maturity, heat tolerance and desired agronomic traits. Synopsis: The aim is to ensure that the existing information on the response of crops to organic and inorganic fertilizer applications in Ethiopia is compiled, categorized and used for developing a farmer-friendly guide for fertilizer applications. The overall goal is to develop and validate an interim fertilizer decision support guide.